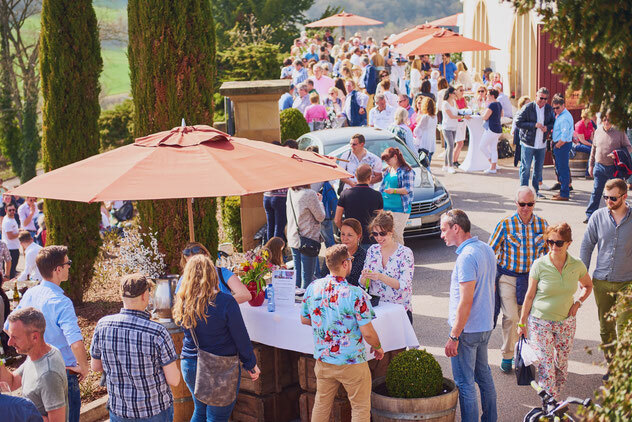 Browse through the German Wine Institute’s list of ‘Highlights of German Wine Culture’ and you can certainly start to argue which of the featured sites are worth their listing. Take the results for the Nahe Wine region for instance and you may need to reach far back into history to understand why an open air museum is featured as a highlight of wine culture. But then the records for the Nahe region do include the Wine Estate Hermannsberg, too. (In fact, this is where Hermannsberg caught my attention for the first time.) If there was a ranking, Hermannsberg should be featured right on top. It’s a living and breathing example of German wine culture. For once there is of course that historic element: Compared to many family wineries in the region Weingut Hermannsberg is just over a hundred years old (or young for that matter), but it sports these well maintained stately buildings from the time Prussia was ruling the area. Then it sits is this unique location overlooking the quaint Nahe River Wine Region from high up on the mountain. And finally, there are these fantastic Rieslings that come straight out of the surrounding vineyards. Still this would not mean much if Weingut Hermannsberg wasn’t lovingly run by some of the most dedicated people. Hospitality and Sales heads Christian and Désirée Patsch would deserve their own category within the highlights of German Wine Culture. Well, all of this is to say: drop by for a visit. Take a detour if you need. 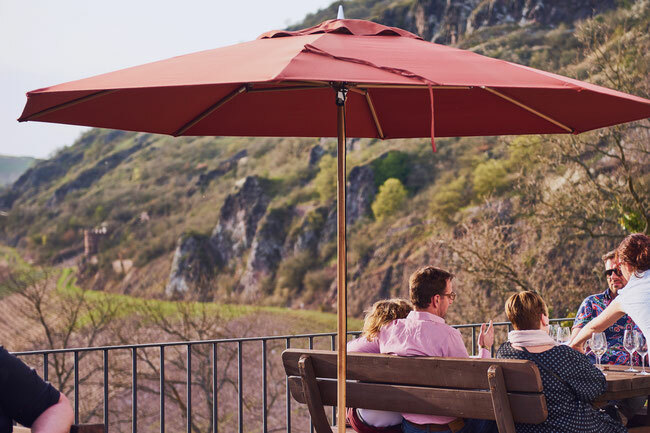 The Estate has some excellent guest rooms, fantastic outdoors and superb wines – so if you are somewhere around Moselle, Rheinhessen, Rheingau or Mittelrhein… In fact, it’s worth more than a detour, take a trip. From here make it a wine-weekend and benefit from the proximity to other superb winemakers in the area. Or take a wine tour with me – I am a regular.